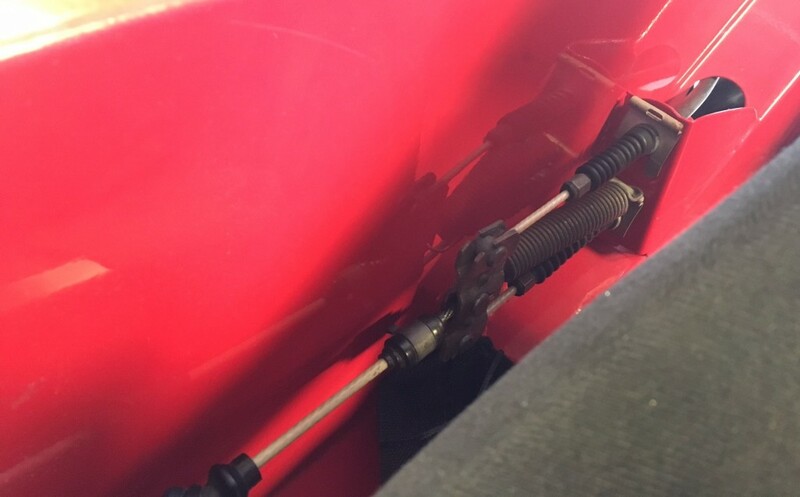 The Exocet driveshaft tunnel is designed to allow installation of the stock Miata handbrake. 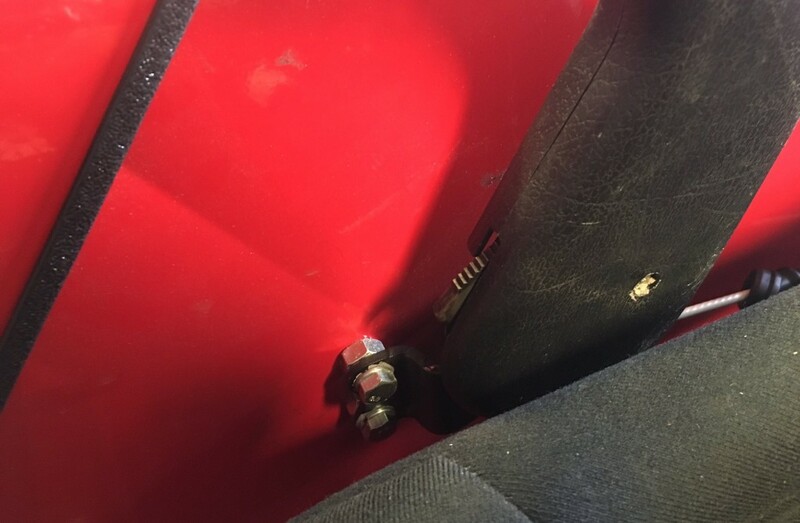 After a number of Exocet builds, we have found that final placement of the e-brake handle will depend on how old/stretched out your donor Miata’s cables are. This is the reasoning behind laser cut holes not being present for the handle installation. Run the handbrake cables through the two holes in the side of the tunnel and through the welded bracket with two holes. This bracket is designed to use the clips that came from the donor to provide a tension fit and locate the cables securely. Position the handle against the tunnel far enough forward that you can create adequate tension on the cables with the handbrake in the off position. Mark the three hole locations, drill, and use M8 or similar hardware to bolt to the side of the tunnel. Use washers/nuts to space off the tunnel for clearance, if desired. After securing final placement, hook the end of the spring on to the top of the lower clip to provide tension.